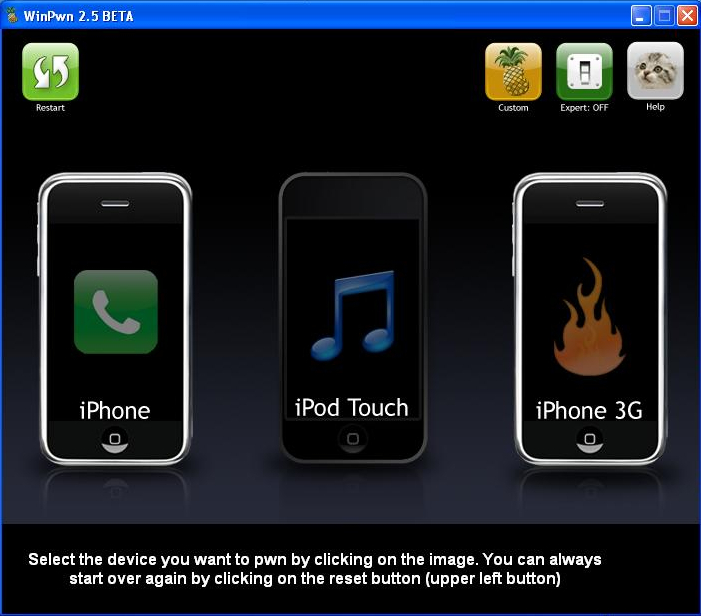 You can only jailbreak on the iPhone 3.0 Beta 2, iPhone 3G 3.0 beta 2, and iPod Touch 1st Gen beta 3.0. It’s 3.2 MB only because it install’s RiPDev’s Icy program. Once you’ve jailbroken you need to open Icy, refresh all the sources and install OpenSSH to jailbreak. I recently upgraded to firmware 2.2 and finally had time to jailbreak it. Jailbreaking allows you to add programs and change settings that Apple doesn’t allow. It also lets you change your icons, sounds and dock. The first thing you need to do is download QuickPwn for firmware 2.2 (also works on firmware 2.0.1, 2.0.2, 2.1). You should also sync your iPhone before you jailbreak so everything gets backed up. Connect your iPhone to your computer via a USB cable. Then click the blue arrow in the bottom right corner to continue. We recently upgraded Brooke’s iPhone to 2.0.2 firmware. I’ve been waiting for the best way to jailbreak it for Windows. QuickPwn GUI is now availble for 2.0.2 firmware so I thought I would give it a shot. It’s very easy to use. You just follow the steps it gives you. This will jailbreak your iPhone but will not unlock the 3G yet. It will add Cydia and Installer without the need to restore your firmware. The Dev Team says the mac version is coming soon. Read more from them at blog.iphone-dev.org. 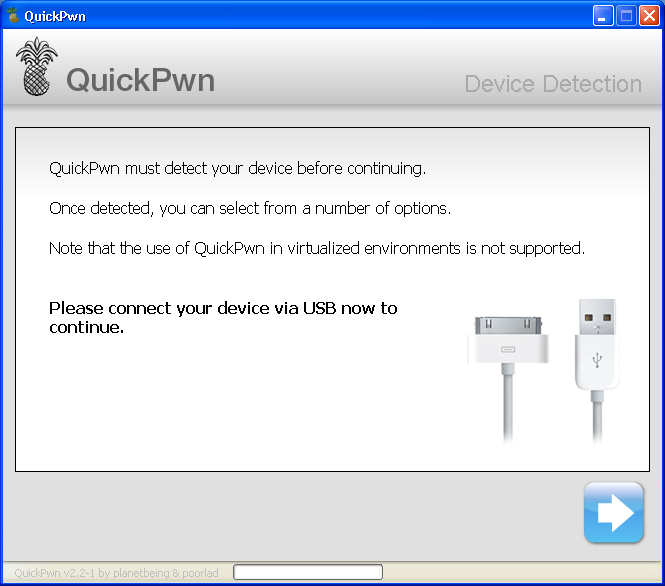 It seems there is a new GUI version of QuickPwn available. QuickPwn is still in beta but, at least it has a nice interface now! Below is what the Dev Team has to say. Let us know in the comments if you have used QuickPwn and what you think. Also, their website still advises to stay on firmware 2.0.1 though, we have heard of people jailbreaking 2.0.2 using QuickPwn. “poorlad” has stepped up and created a GUI version of QuickPwn based on our Windows release earlier, this is a stopgap solution that he created in a little over 5 hours, great stuff poorlad! A final cross platform GUI for QuickPwn is also being developed, but this version should help some of you guys and gals right now.